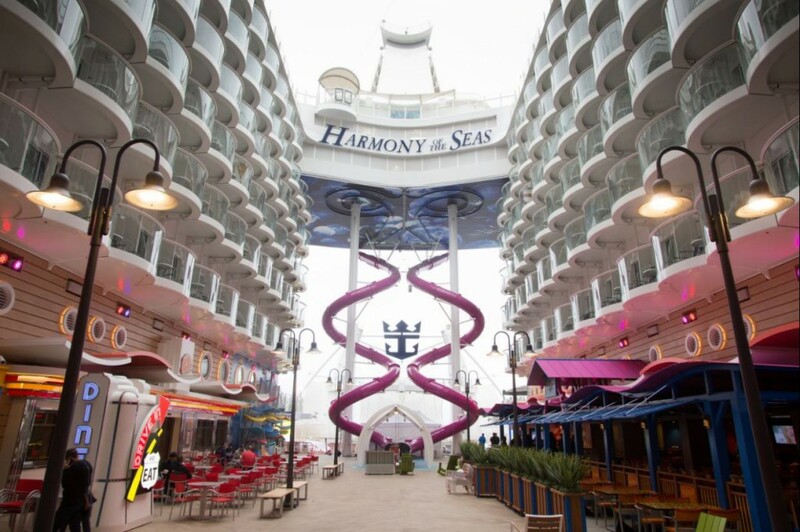 One week ago, after 32 months of construction at the STX shipyard in Saint Nazaire (France), Royal Caribbean took delivery of Harmony of the Seas, the 25th ship in its fleet. 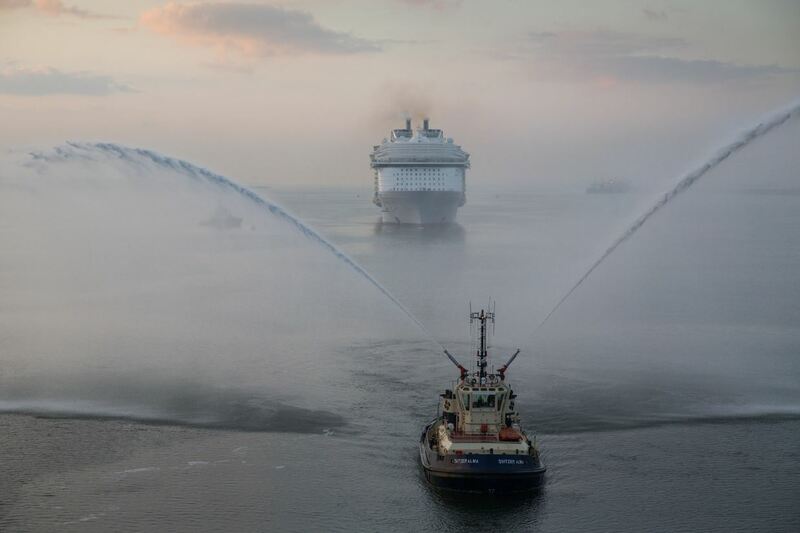 After the traditional delivery and flag changing ceremony Harmony of the Seas set sail for Southampton (U.K.) from where she will offer a series of short getaways to Northern Europe. 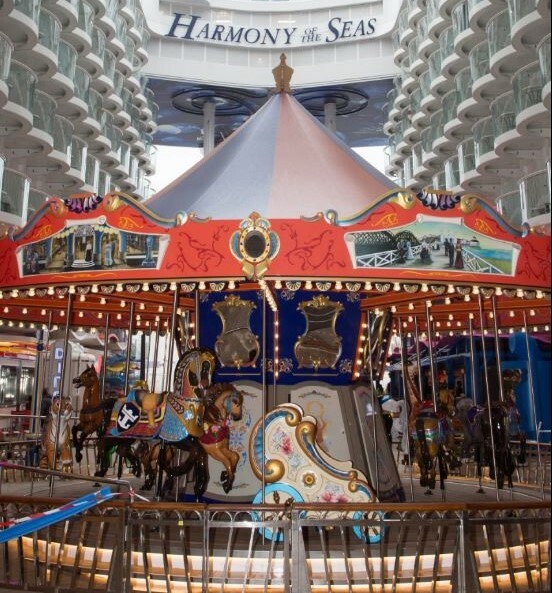 Costing more than a $1billion Harmony of the Seas is the world’s largest cruise ship built with more than 500,000 individual parts, measures 362 meters (1,188 feet), nearly four football (soccer) fields long, and encompasses 226,963 gross registered tons. 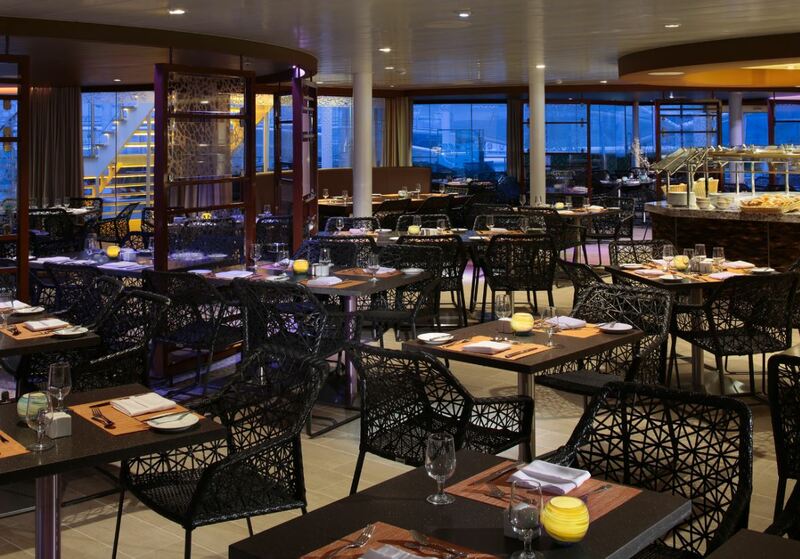 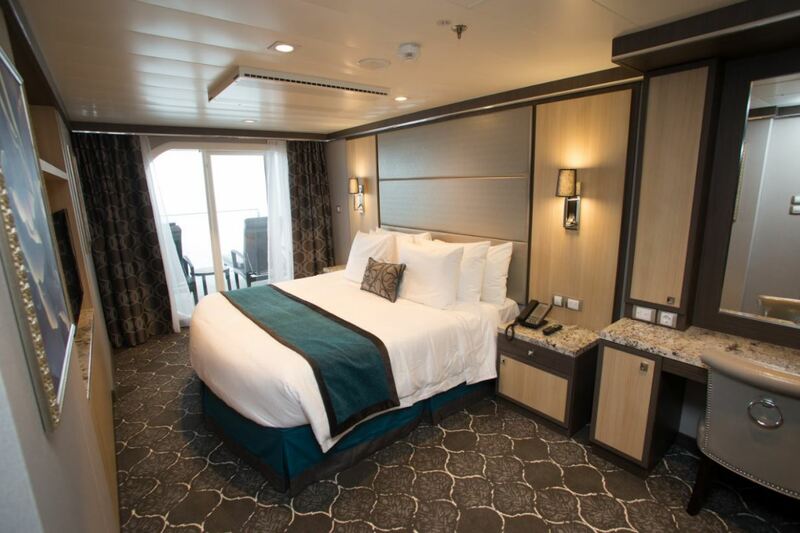 Spanning 16 guest decks, Harmony features 2,747 staterooms with a capacity of 5,479 guests at double occupancy. 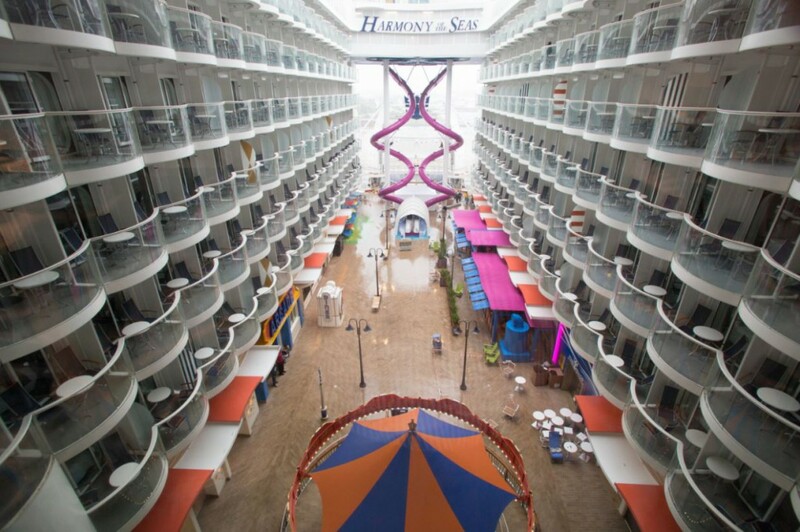 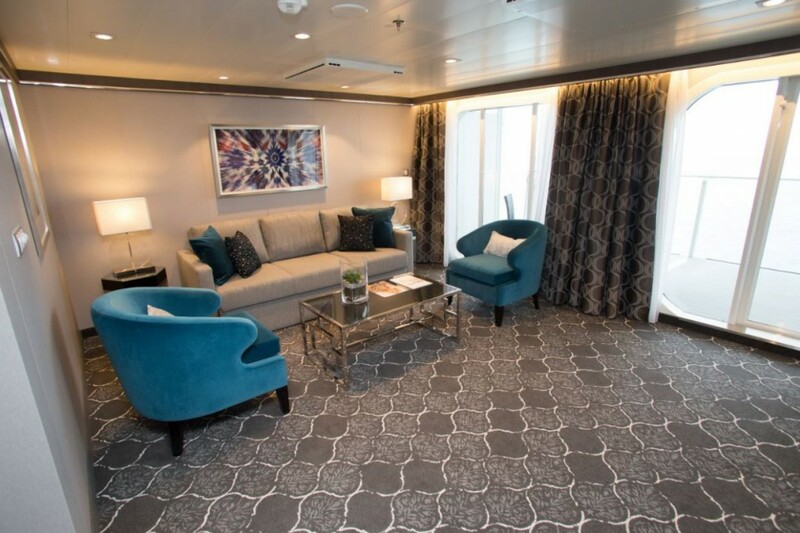 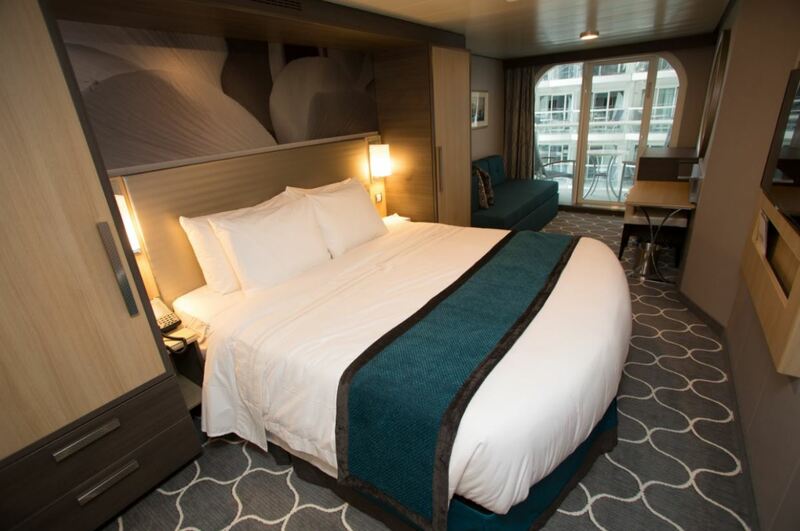 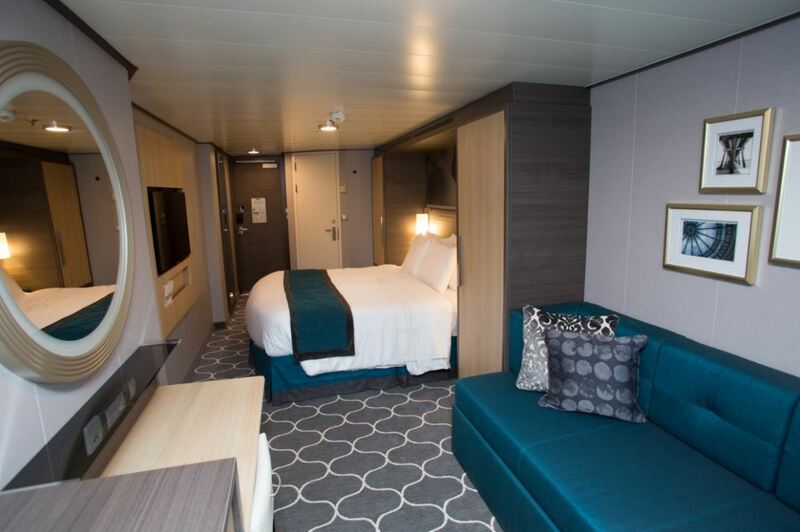 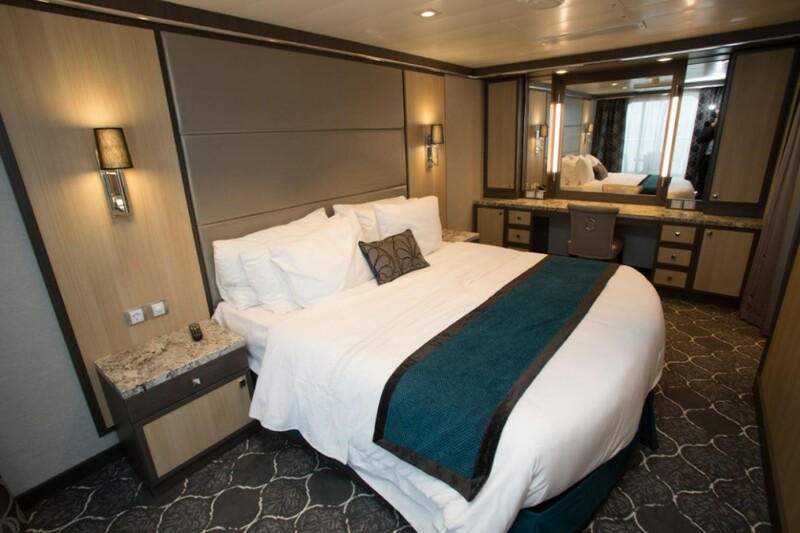 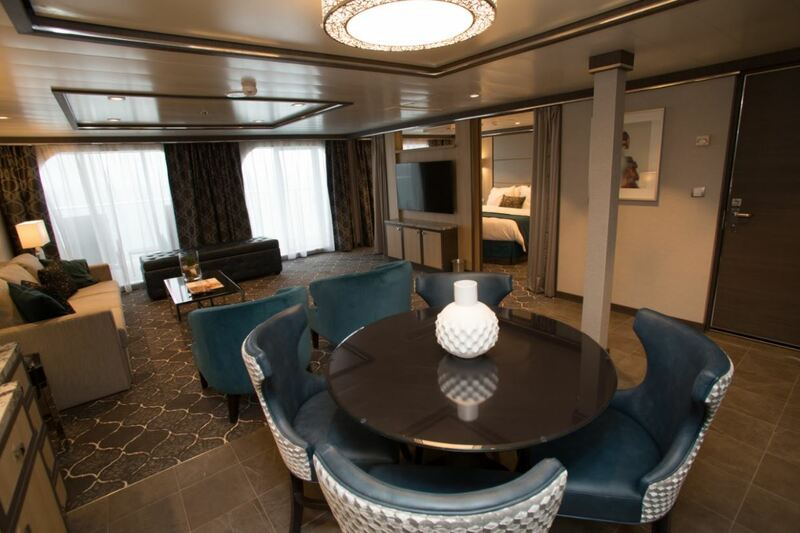 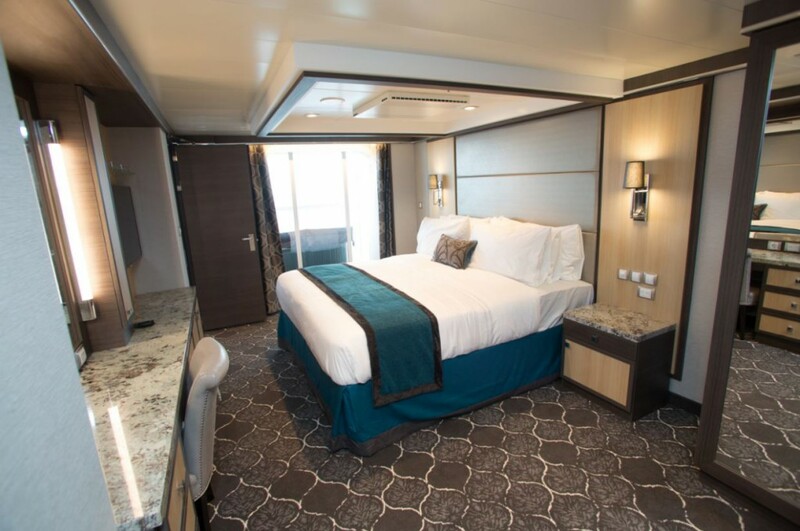 Let’s have a look inside some of the different accommodations onboard Harmony of the Seas. 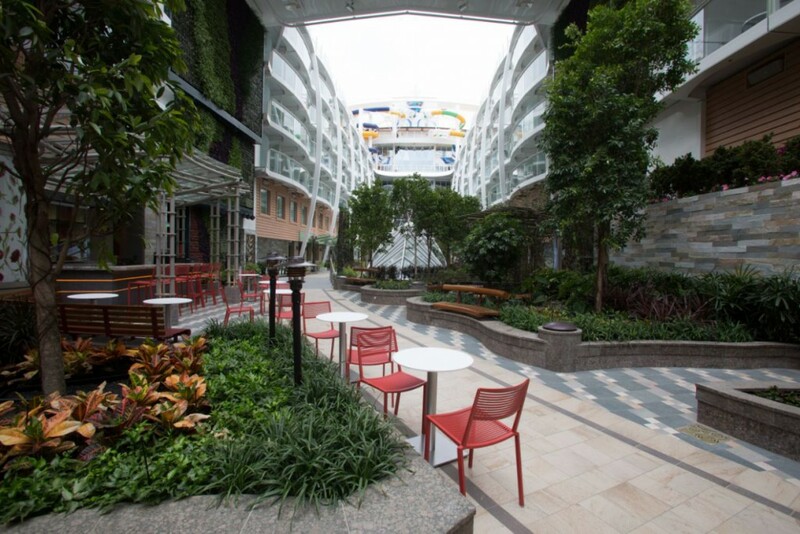 Harmony of the Seas combines the distinct seven neighborhood concept that Royal Caribbean’s Oasis class of ships are known for. 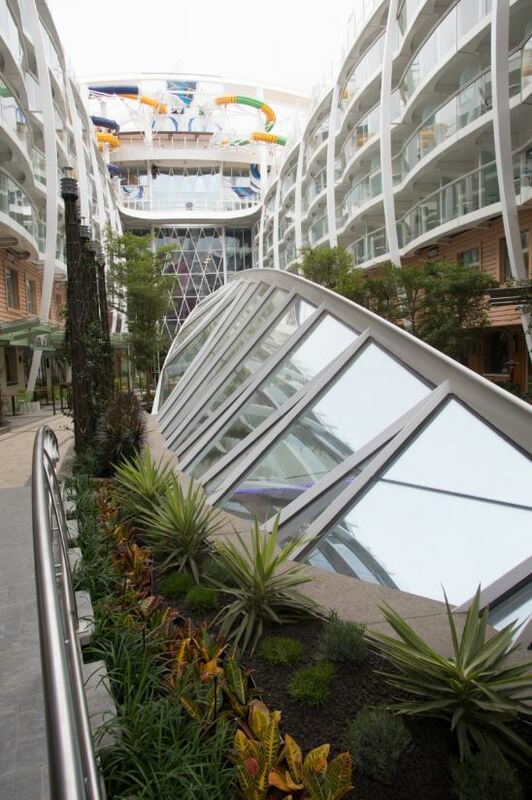 The Central Park onboard Harmony of the Seas, a living park in the center of the ship which features a total of 10,587 plants, 48 vine plants and 52 trees. 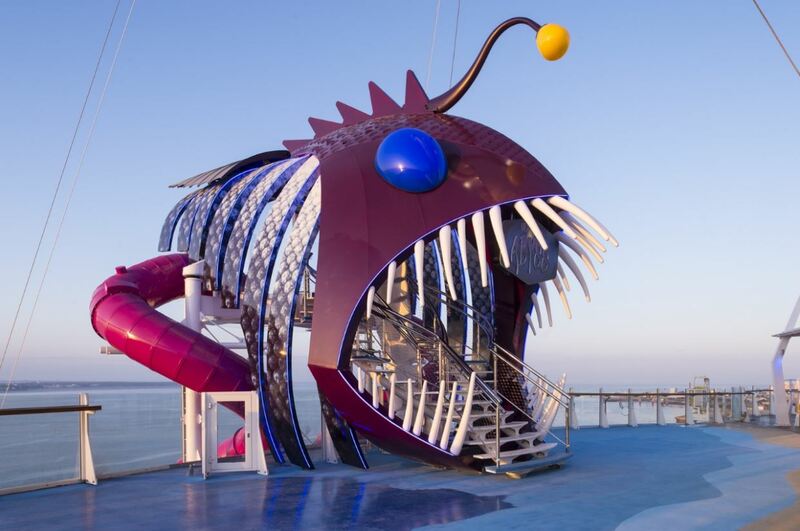 The Boardwalk at the back of the ship with the carousel, the Ultimate Abyss and the Aquatheater. 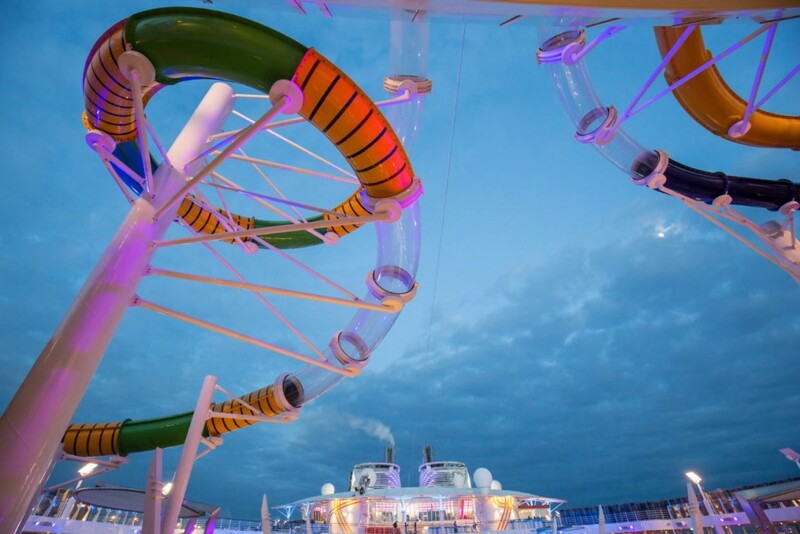 A 100-foot drop with The Ultimate Abyss, the tallest slide at sea, plunging courageous adrenaline seekers 10 stories down from deck 16 to the Boardwalk on deck 6. 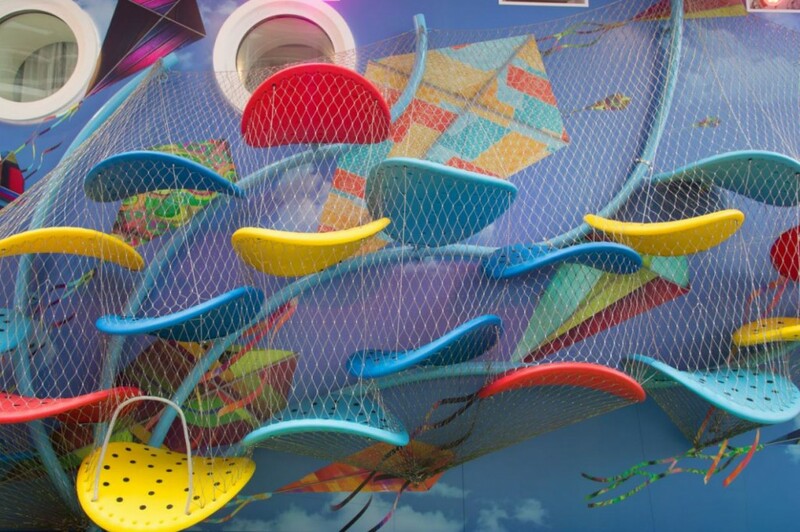 The boardwalk is home to two climbing walls for adults and one for the smaller guests onboard Harmony of the Seas. 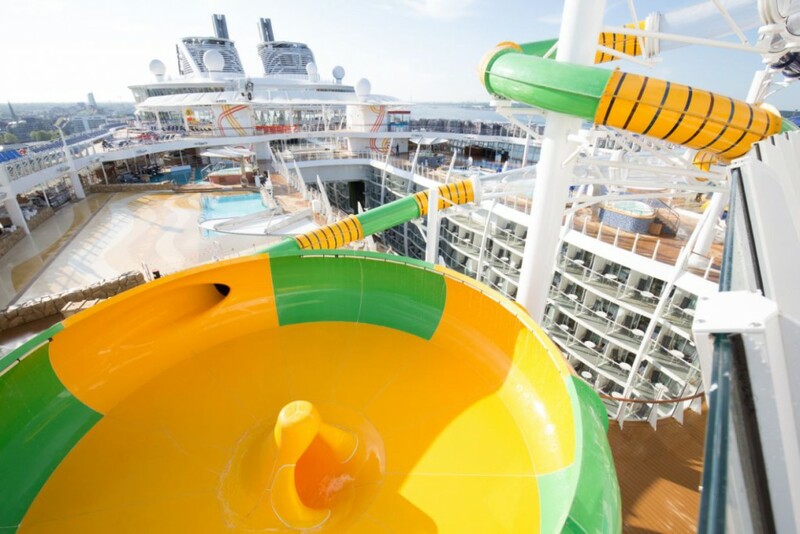 2,150 tons (4,700,000lbs.) 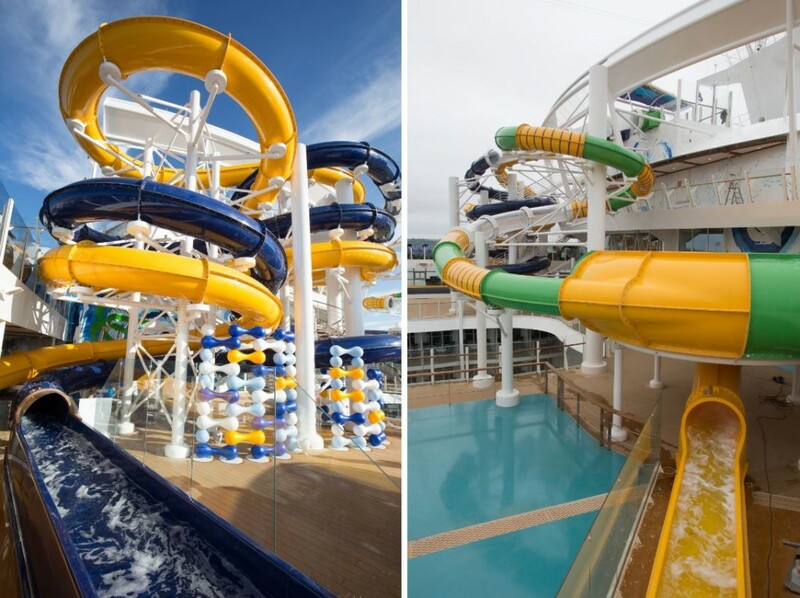 of water in 23 swimming pools, whirlpools, two FlowRider surf simulators and waterslides, including the Perfect Storm, a thrilling trio of waterslides, and the Splashaway Bay waterpark for young guests will keep guests entertained and wet. 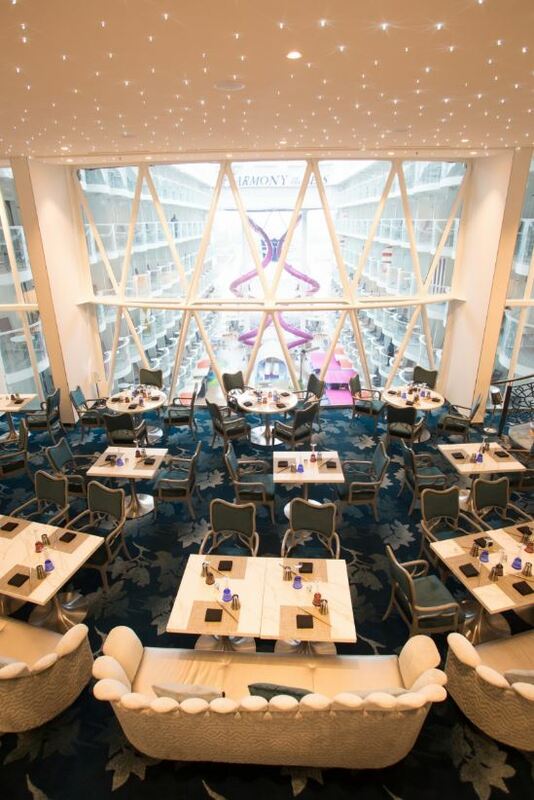 Imaginative dining in the ship’s 20 venues include the first double-story Wonderland, the specialty restaurant concept first introduced onboard the Quantum class of ships . 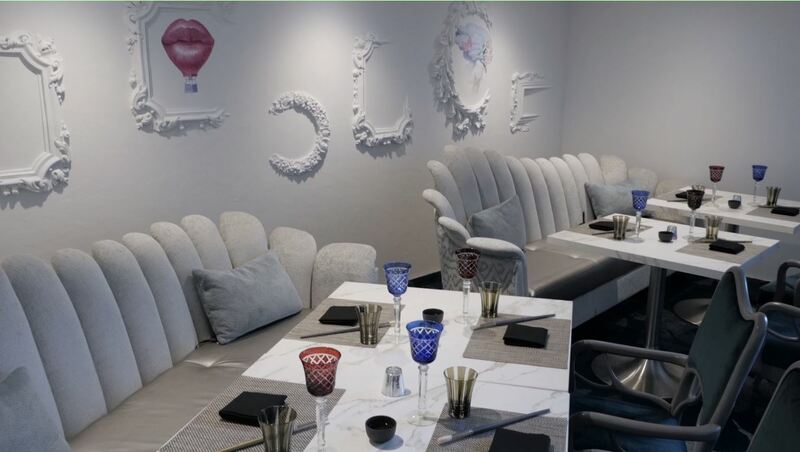 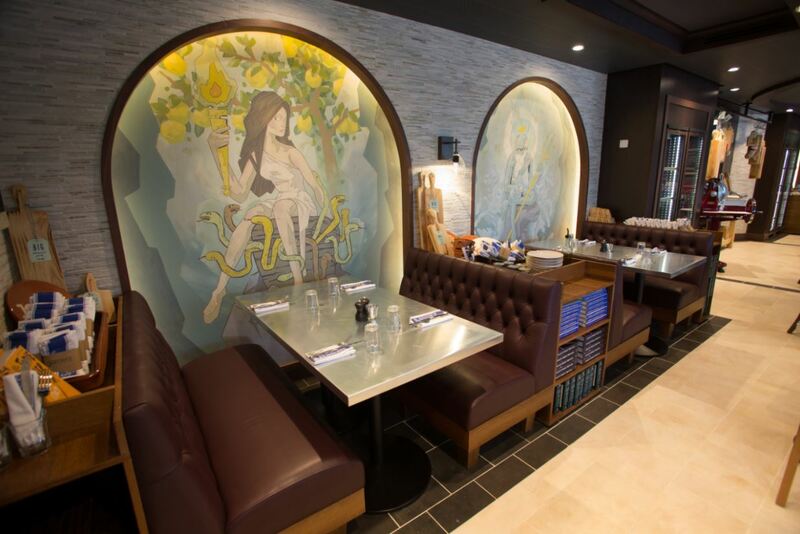 Jamie’s Italian, also found on the Quantum class ships, debuts on Harmony, in the Central Park neighborhood, where Giovanni’s restaurant is on Oasis and Allure. 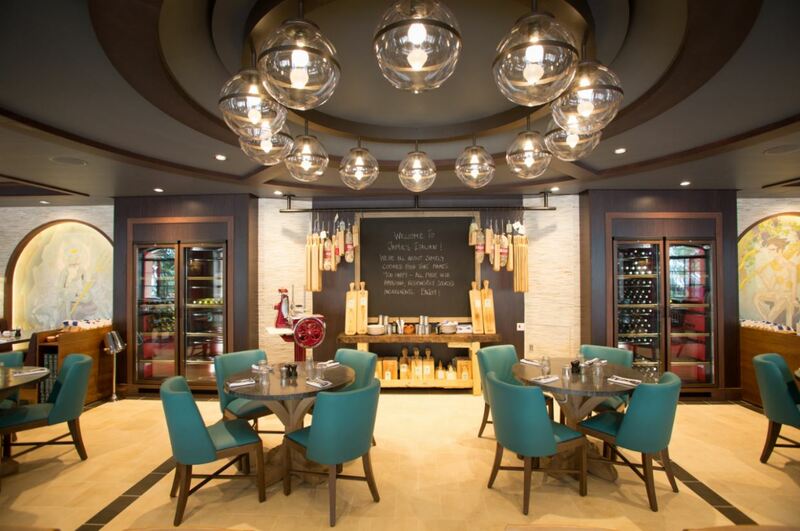 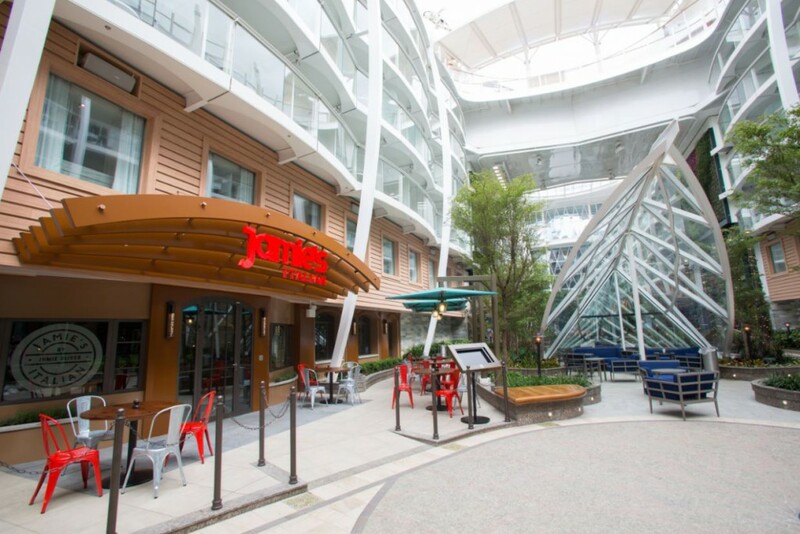 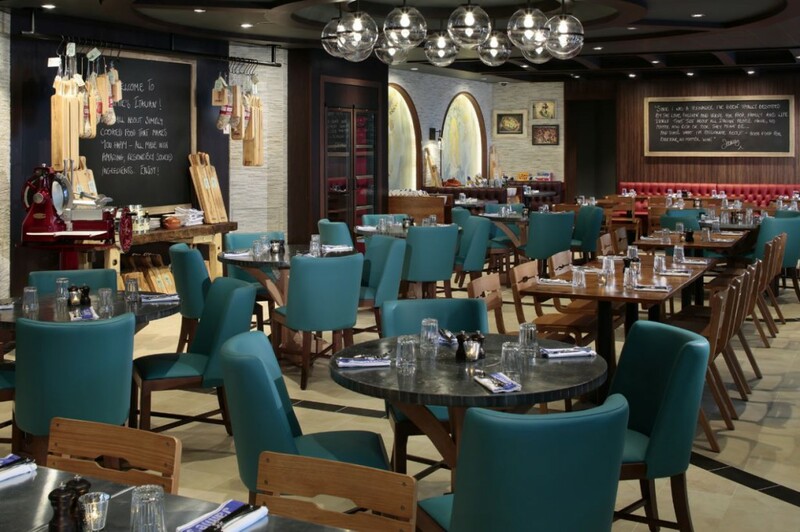 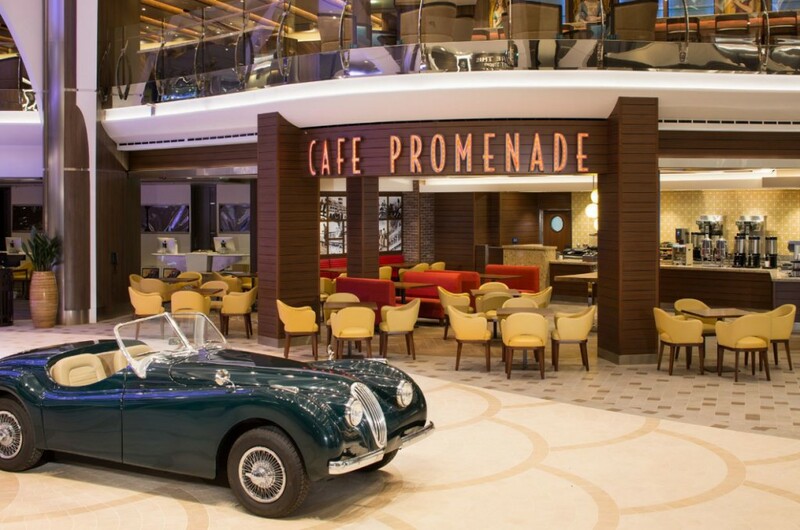 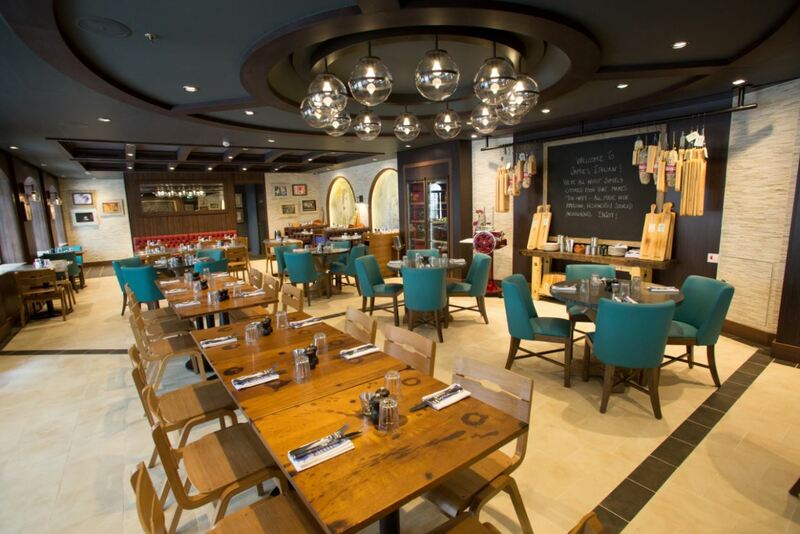 Jamie’s Italian replaces Giovanni’s restaurant onboard Harmony of the Seas. 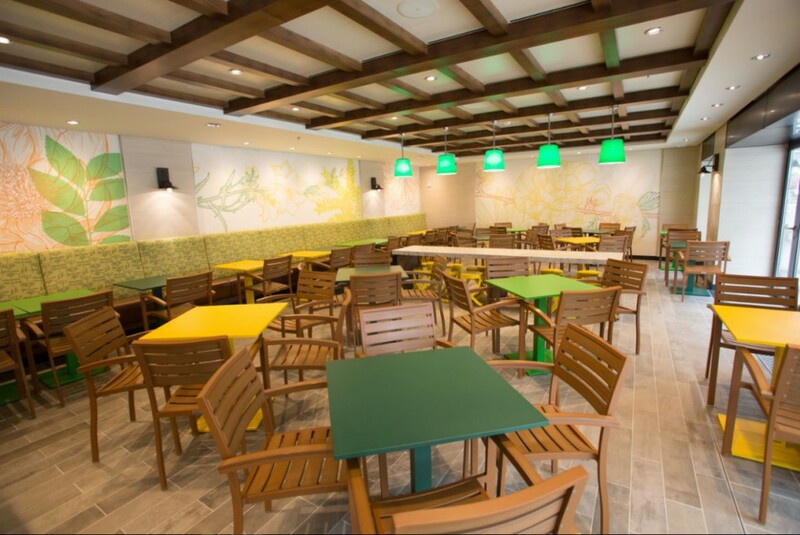 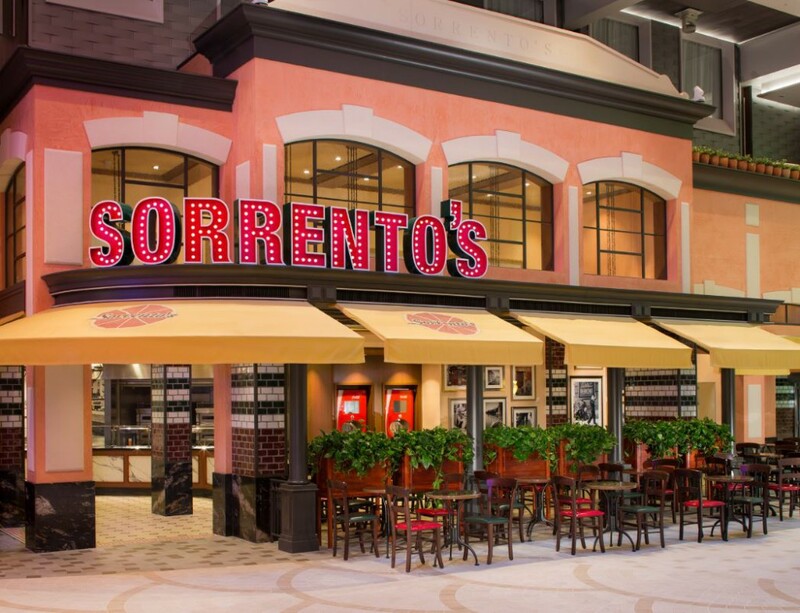 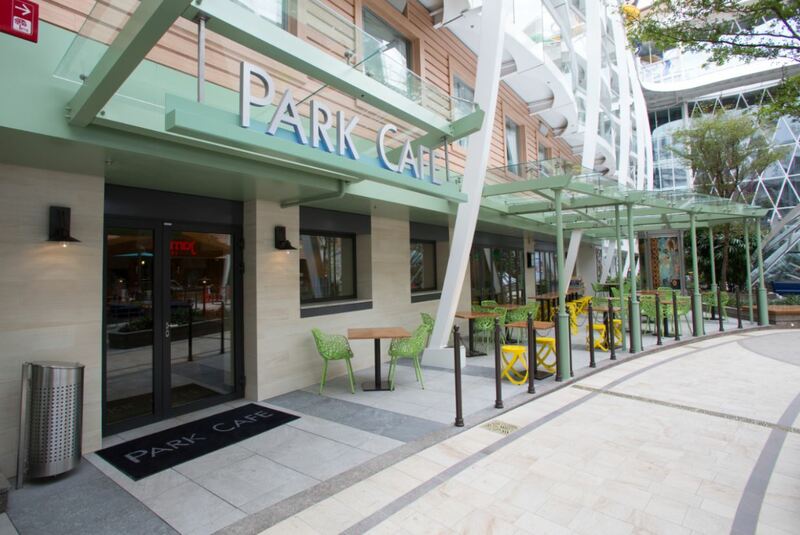 Other complimentary and relaxed dining options include Park Cafe, Sorrento’s, Cafe Promenade and the Solarium Bistro. 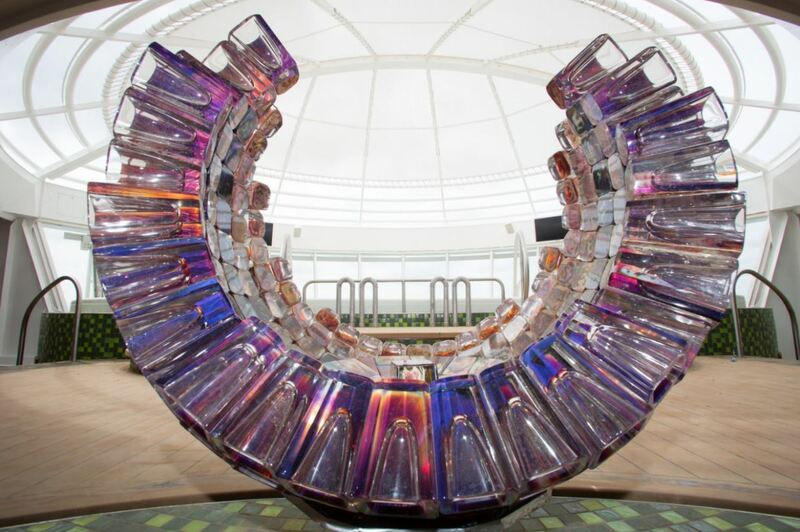 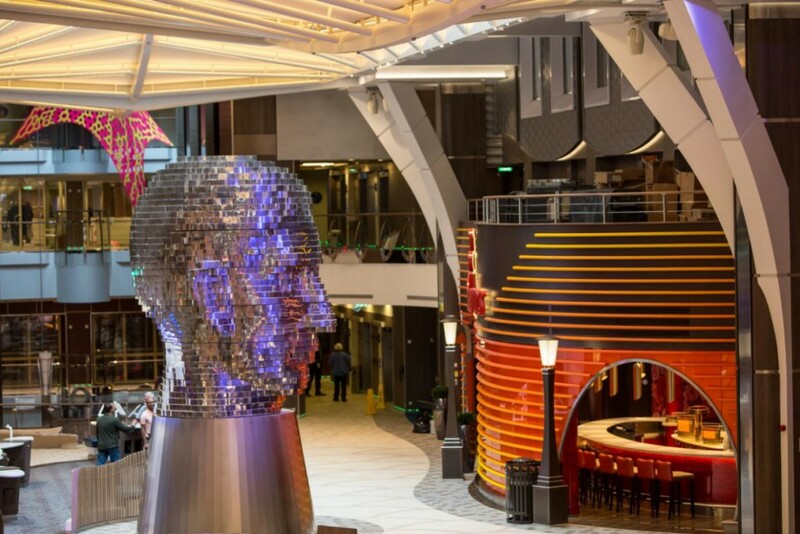 11,252 works of art, including Harmony’s signature smart art piece “Head”, a five ton three-dimensional metallic human head by Czech artist David Cerny, are showcased throughout the ship. 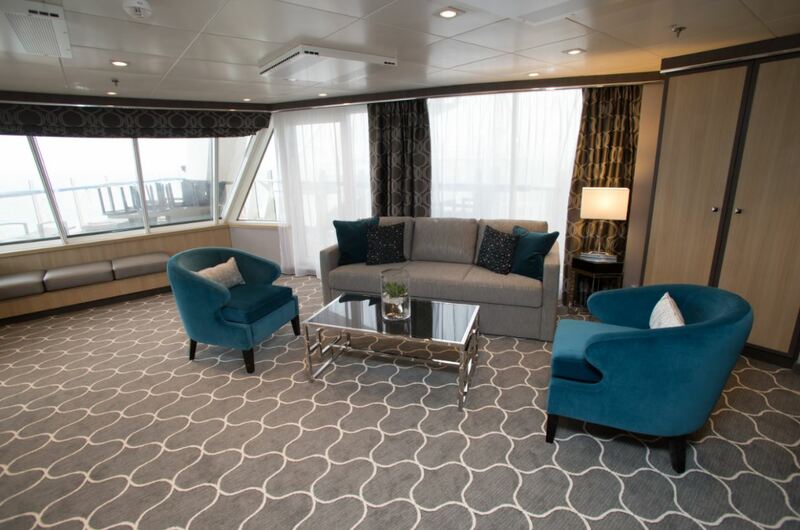 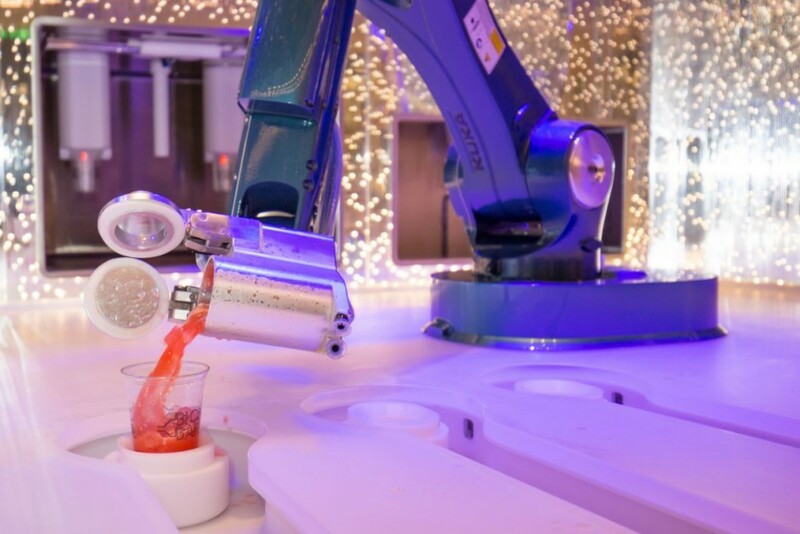 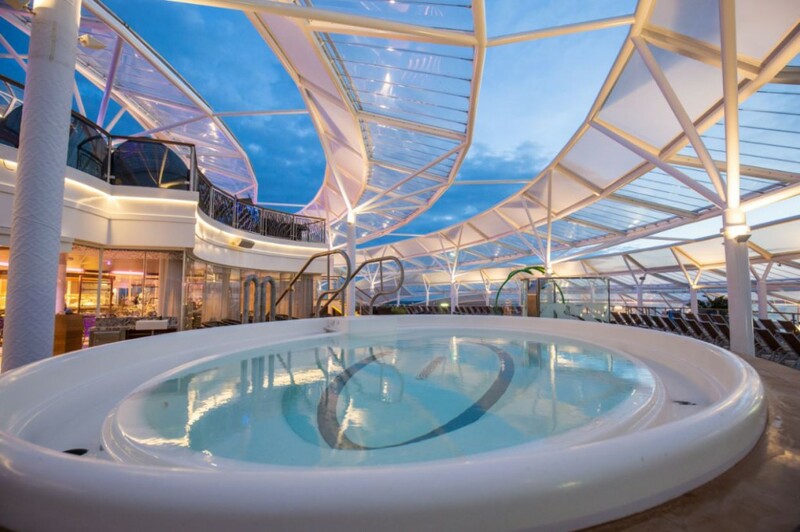 Other innovative features include the Bionic Bar with robot bartenders, virtual balconies with real-time views of the destination for interior rooms, and VOOM – the fastest internet at sea. 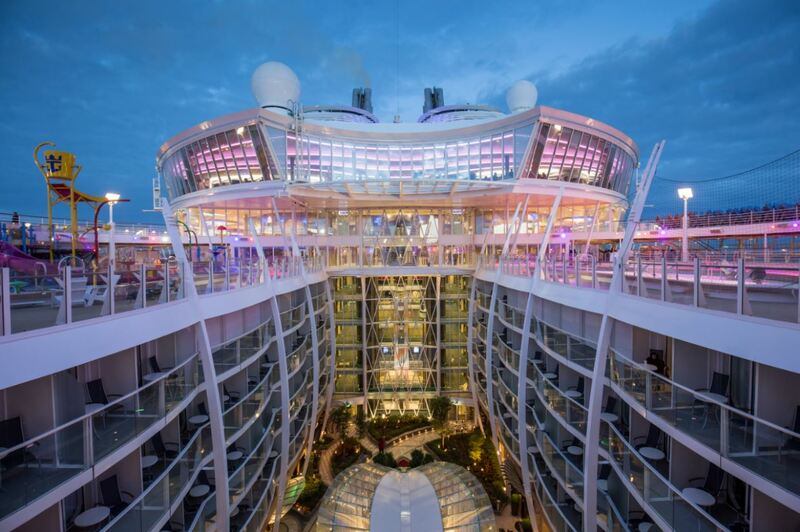 On May 29 Harmony of the Seas will leave on her maiden cruise from Southampton to arrive in Barcelona (Spain) on June 5. 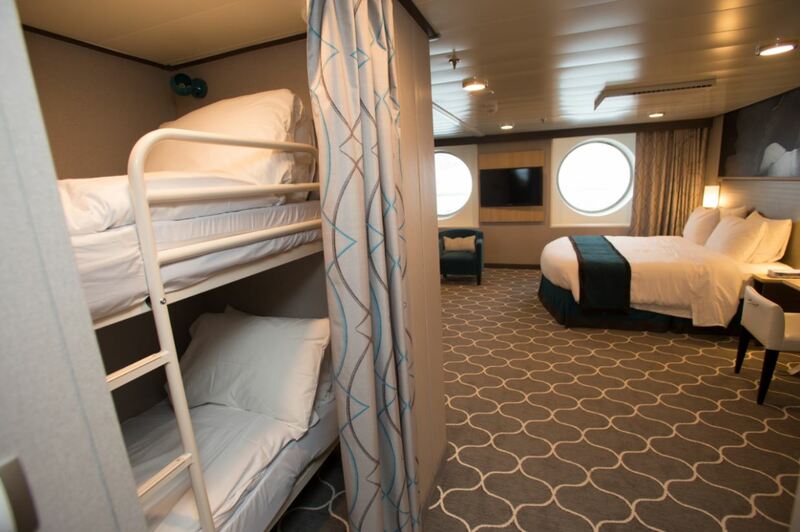 Harmony will homeport in Barcelona and embark on the first of 34 seven-night sailings in the western Mediterranean on June 7. 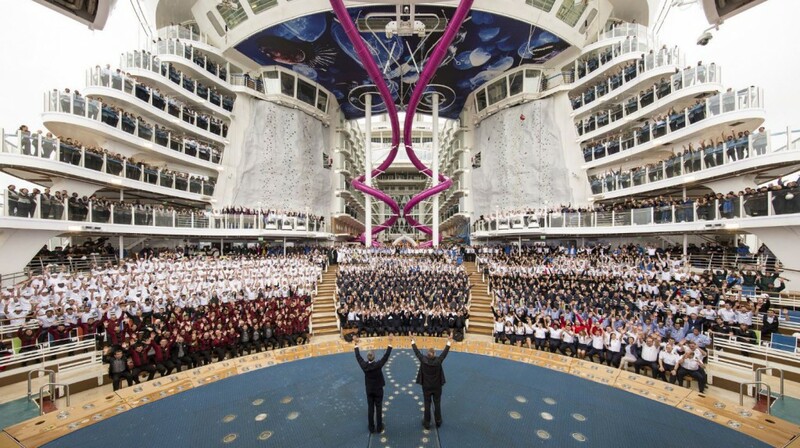 In November 2016, Harmony will arrive at her permanent homeport of Port Everglades, Fort Lauderdale, from where she, together with Allure of the Seas, will offer seven-night eastern and western Caribbean sailings. 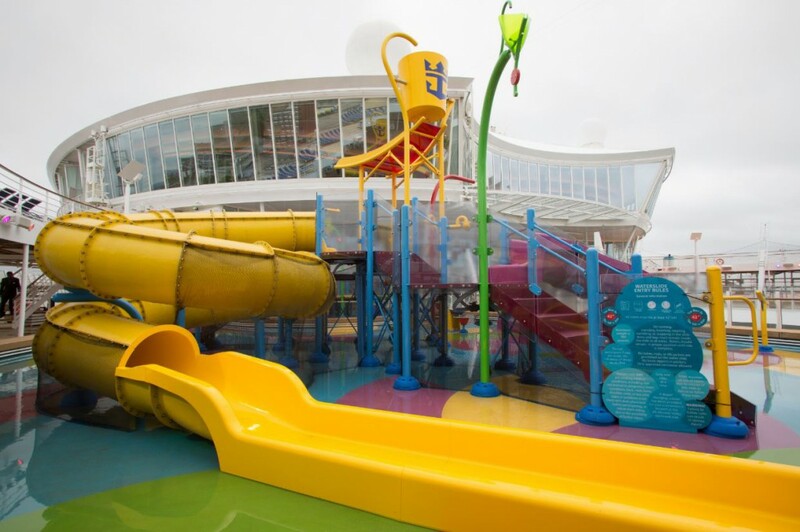 The newest member of the fleet replaces sister-ship Oasis of the Seas which moves to Port Canaveral.